The way to Enlightenment is the way to listening. My… body… is on… fire. 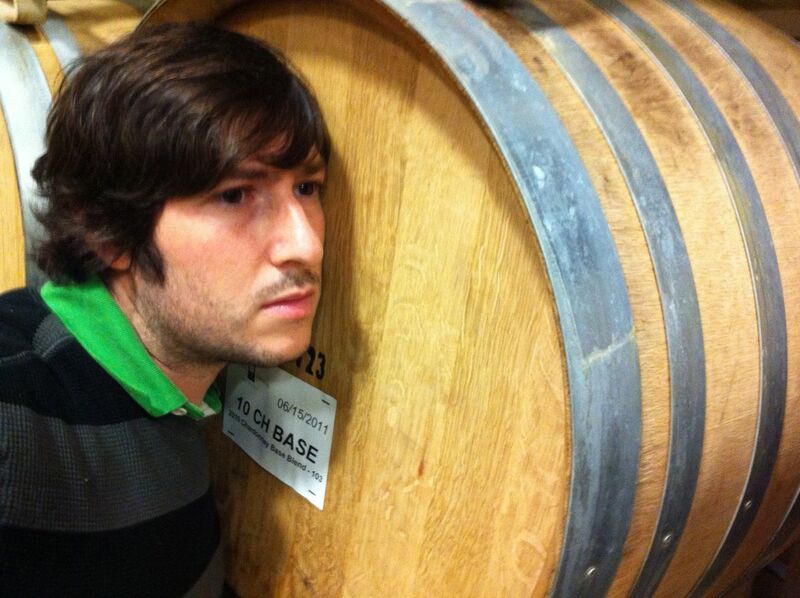 I have to commend my fellow cellar workers at Alpha Omega. These chaps are incredibly hardworking people who take their job seriously (though intermittent joking is rampant and necessary to break up the routines of cellar work which, truth be told can be very repetitive). I’ll introduce each of them here in Winetology as we forge ahead and the grapes keep-a-comin’. 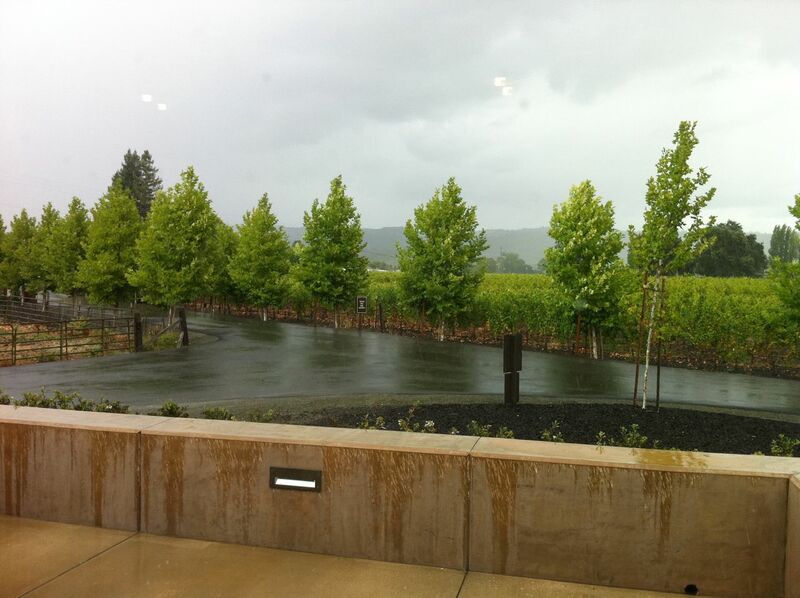 Though I should mention a young man from Napa, named Aldo, who left us today to take work in Calistoga. He was with AO for half a year, but the reality is he needs to earn much more money because he has a second child on the way. We had an interesting conversation about marriage and parenting and he put it to me like this: “In the Latino community – at least the way I was raised – when you have a kid with someone, you’re with that person. Married or not, you’re together.” He scoffed at me when I asked if he was married. He has no interest, but like he said, it doesn’t matter. He’s with the mother of his children until the end. Everyone at AO wishes Aldo the best of luck. This work ain’t easy – not that anyone ever said it was – though I’m beginning to understand the “you’ll see” winks and smiles that I’ve been met with leading up to Harvest work. And I’ve only been at it for three days! Some work year-round. Without these tough-skinned, incredibly smart and quick-thinking cellar teams (who work tirelessly around the wine countries of the world) these wonderous-grape-elixirs we all love to open and share and experience would simply not exist – at least not at the level of quality many of us expect. Once you’ve been bitten by an amazing bottle of wine, there’s no turning back… so next time you pop open something that drinks itself before you do, toast to the cellar workers, the vineyard workers and the winemakers who have made the wine what it is. So what’s happened in the last two days? A hell of a lot. Clean Clean Clean! Power washing with 180 degree water. Once they are power rinsed with hot, hot, caliente water, they are doused with Ozone. That’s right. Ozone. How fantastic is that? This machine makes Ozone. 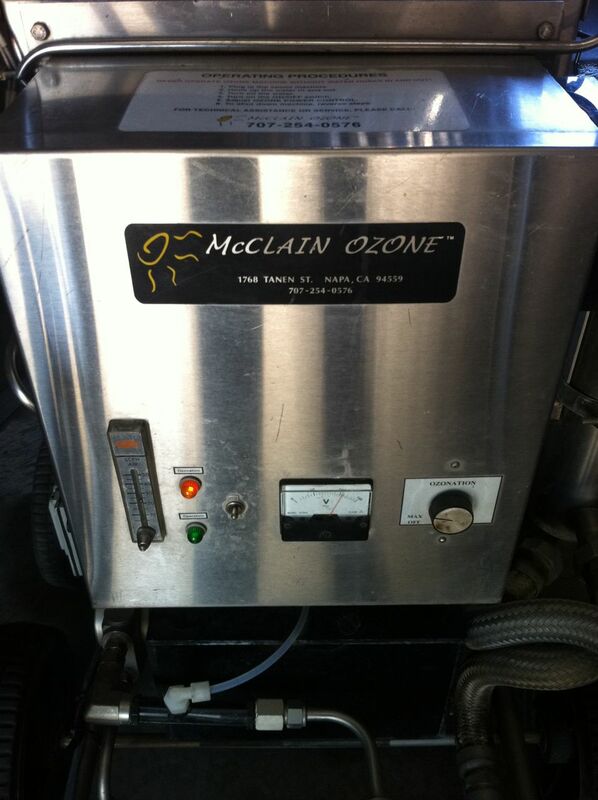 Someone should tell the Obama Administration that there is a machine that simply makes Ozone. So we can deplete it as much as we like! 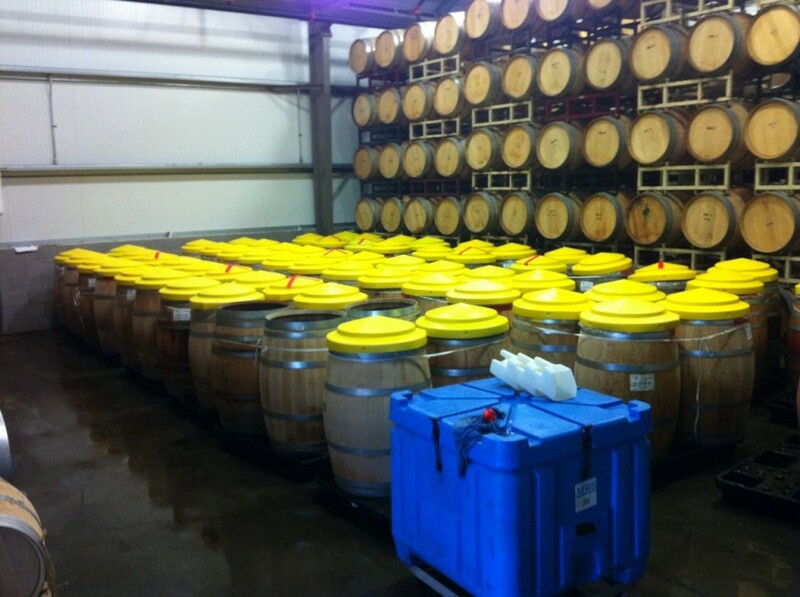 But in the winery, Ozone (O3) is used to sanitize. Electricity hits water and inside this contraption makes Ozone and the smell is definitive… oddly enough it reminds me of being in a plane… hmmmf! By a process of grabbing onto certain molecules the O3 sanitizes the inside and then we rinse the barrel with cold water and et voila! 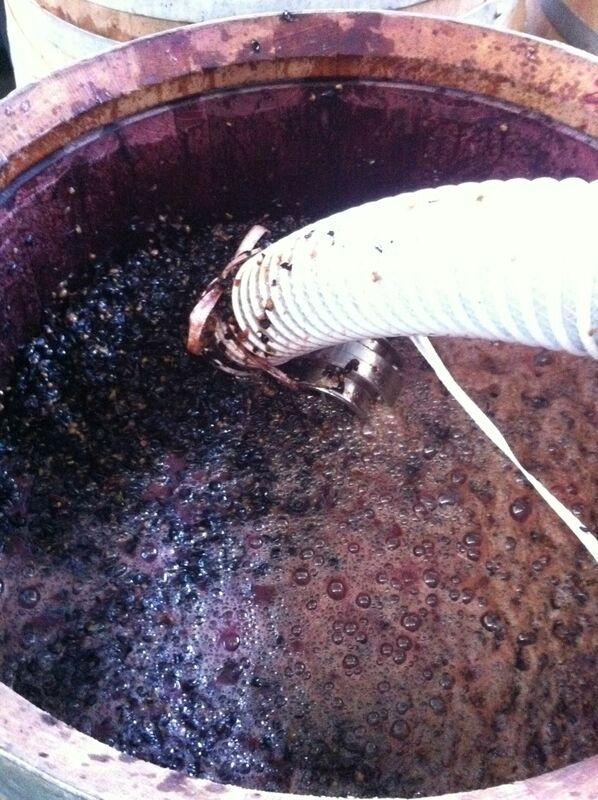 Ready for fresh vino. 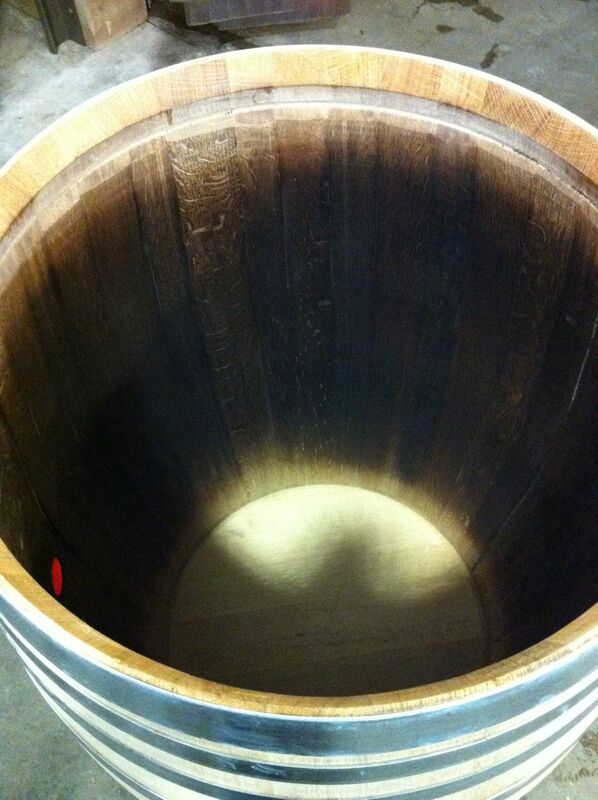 On Day Two some Russian River Pinot Noir came into the winery and it was destemmed, sorted and put into barrels for an extended maceration with the skins and daily punchdowns. I was on the sorting line. 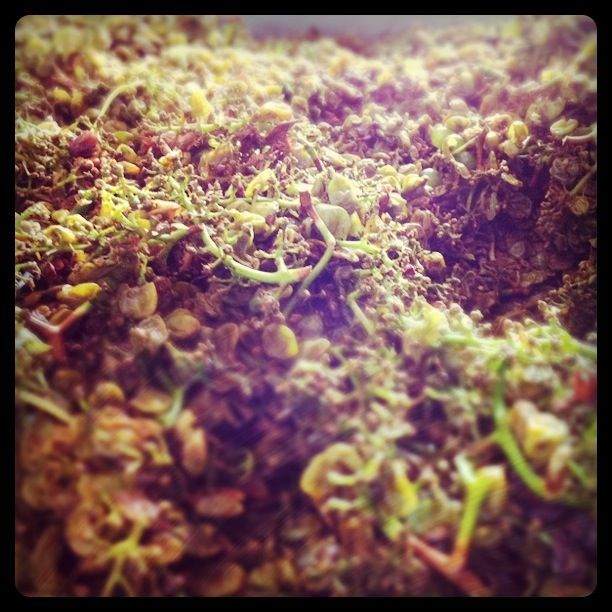 As grapes whizzed past it was my duty to extract anything “green” i.e. stems. Also, any clusters or grapes that looked shriveled, gnarly entrenched in leaves, etc. 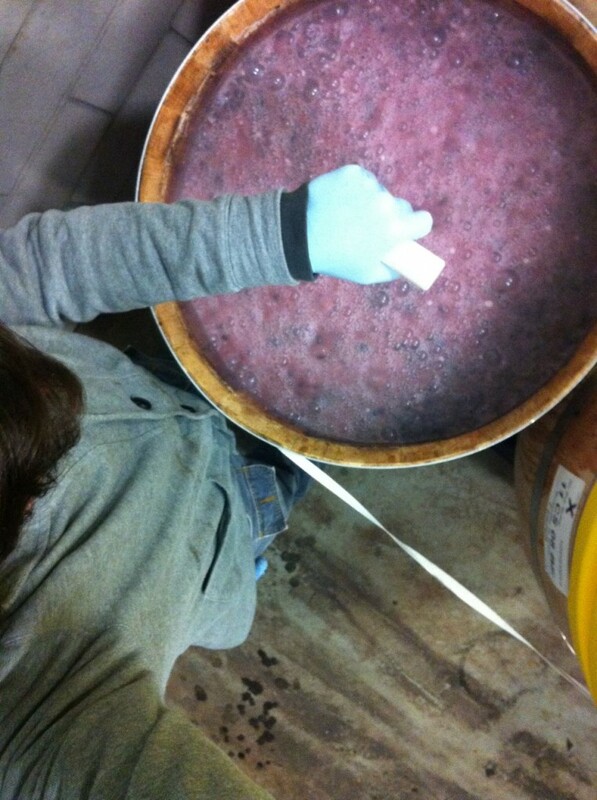 This is the only opportunity to grab all the stuff you don’t want in your wine before it begins the fermentation/aging process. 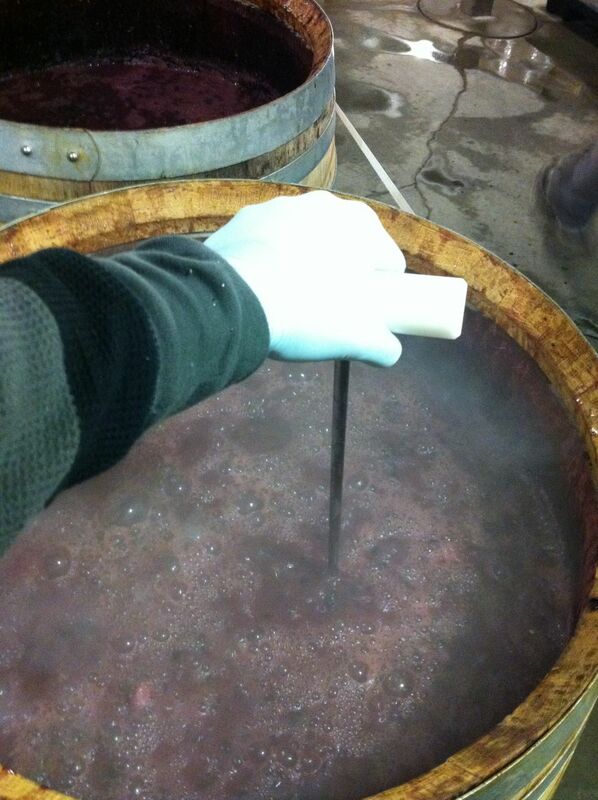 These grapes/juice went into barrel for an extended period of maceration – the time the juice is in contact with the grape skins and seeds. This allows for a free exchange of tannin, i.e. 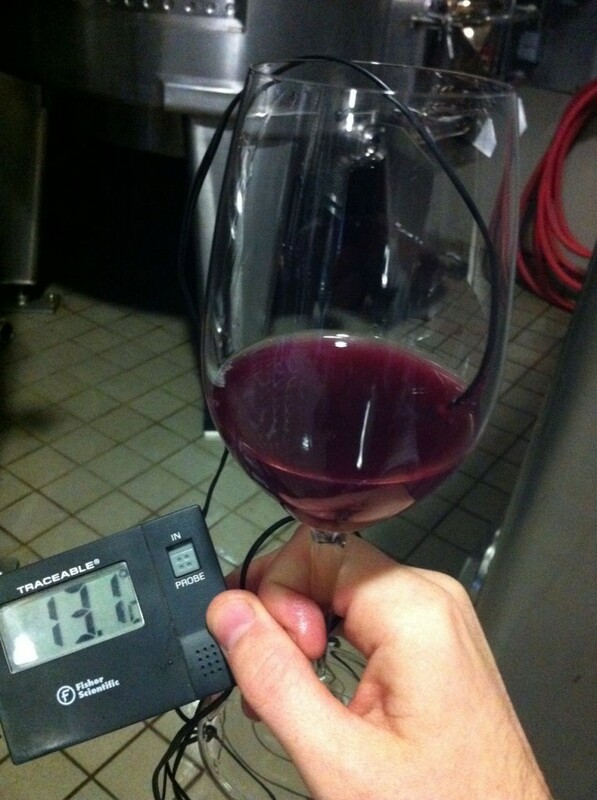 color and texture tannins. 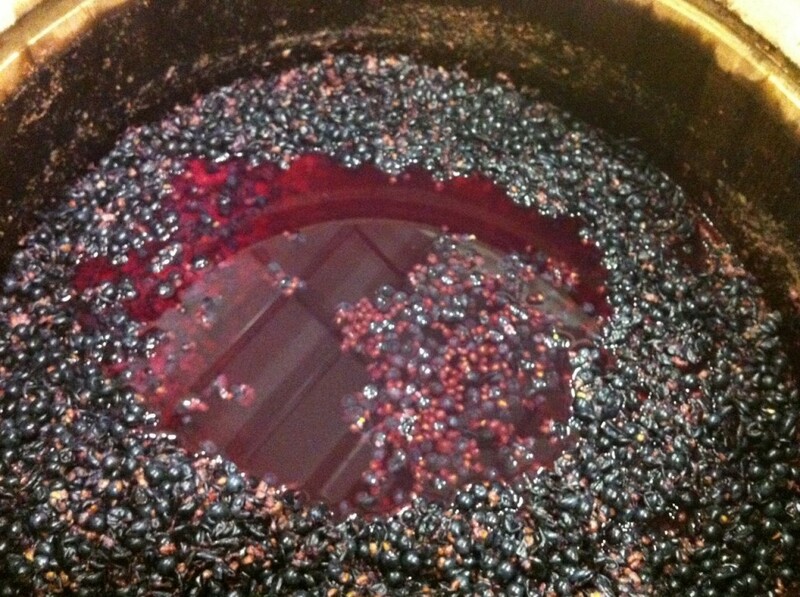 Looks like Bluerberry gazpacho. But it's Russian River outrageousness, really. Later, there are punch-downs. The skins begin to form a cap, and harden a bit and so they need to be punched down. Exactly the same thing that would happen to me if I went for a midnight stroll through Bed-Sty in my Astor & Black bespoke suits! This kind of punch-down is much more fun though. And at this point the “wine,” which isn’t wine just yet, looks like a massive vat of blueberry gazpacho. Yum. Smells great. 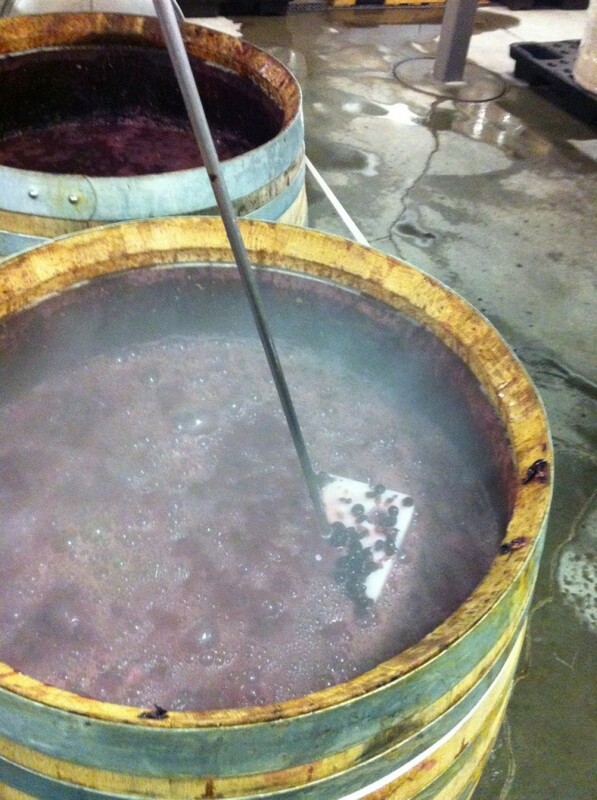 This is incredibly fascinating because each juice goes into its own tanks and is blended into the final wine when the winemakers feel it’s time. D-Juice is the first bit of juice that comes from the weight of the grapes (gravity) on themselves… and it’s a lot of juice, sometimes as much as a barrel or two. 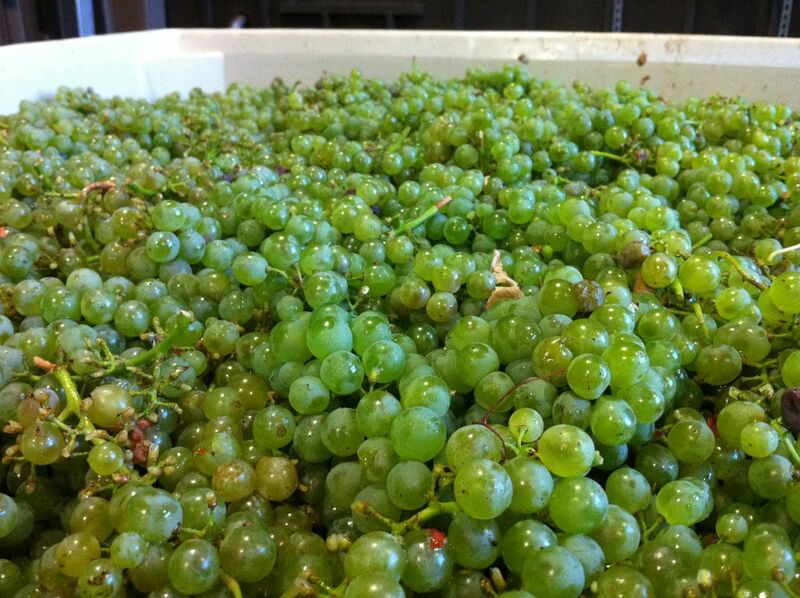 Free Run is the golden juice, the coveted juice that comes from the gentle pressing of the grapes. 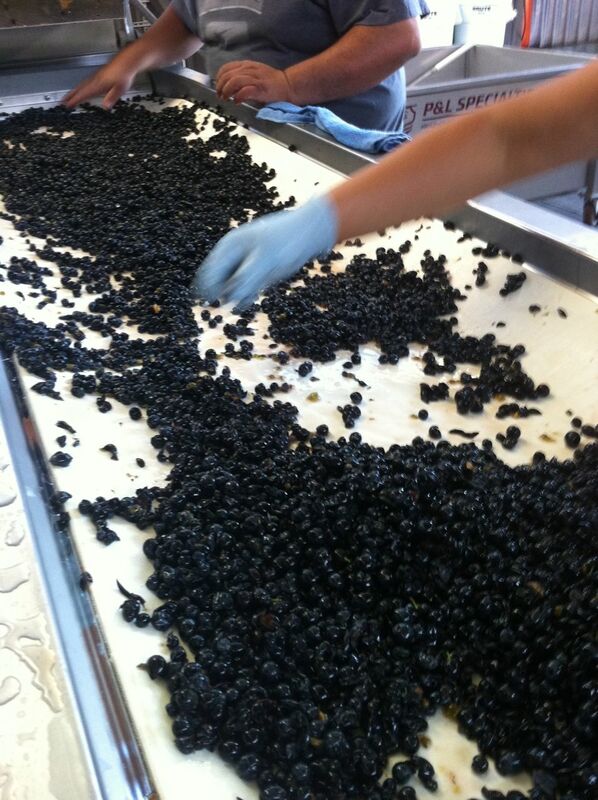 Press is the juice that comes from really applying gravity to the grapes that have already been pressed — there’s still something in all of the skins and grapes and when you’re paying thousands of dollars a ton you want as much juice as you can get. Sauvignon Blanc in from the fields. Tastes SO good. Juicy and sweet. 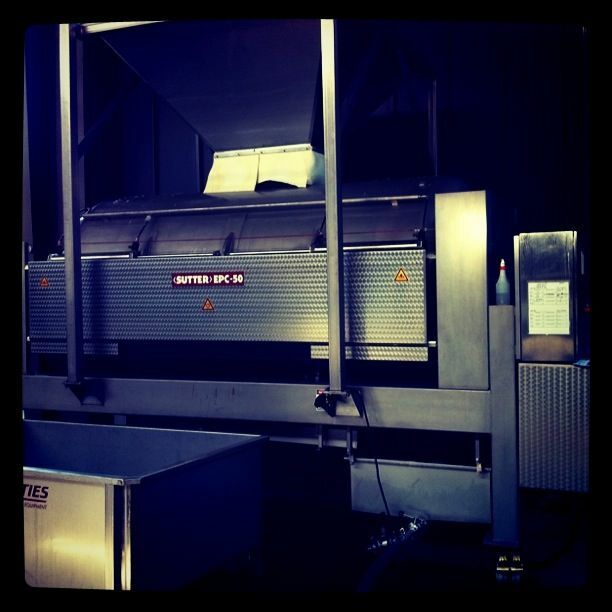 And here is Mr. Sutter: I had to climb up in that thing to shovel out some of the pressed grape skins and stems. The cellar team had a good time when I was inside. Some of the remarks were, “We’ll turn it on now, okay?” and “It’s gonna start to rotate” and “Just let us know when you want us to stop it.” Again, “Ha ha, very funny you guys,” was about all I could muster in response. They did in fact hold my life in the … push of a button. 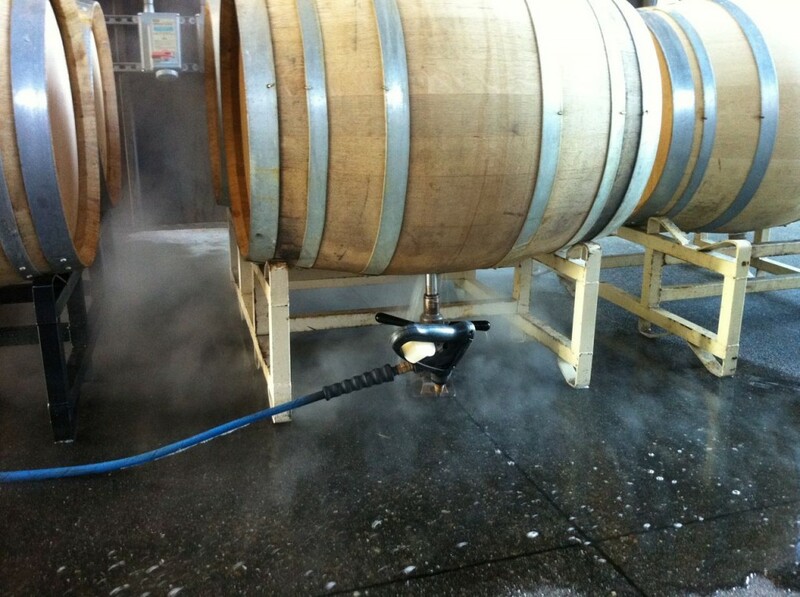 Now that’s winemaking! !